Tom's Upholstery Cleaning technician will carefully examines any stains and spots, after which the appropriate detergent. Our Sofa Steam Cleaning services with no fuss, maximum efficiency and the deepest cleaning available for your sofa and side chairs. Tom's Dining Chair Cleaning has trained and certified technicians that will take care of all your chair cleaning needs. Professional staff well versed with the latest technology & environment friendly upholstery cleaning methods transforms your surroundings into nothing short of spectacular. Cheap couch cleaning and upholstery cleaning prices with services tailor-made to suit all your cleaning needs. You get more than what you pay for. Tom’s Cleaning services Melbourne is available all round the clock. Your convenience is our priority. Upholstery Cleaning Melbourne. Toms is one of the best upholstery cleaning service companies that has expert & highly trained certified technicians having more than 10 years of cleaning industry experience. 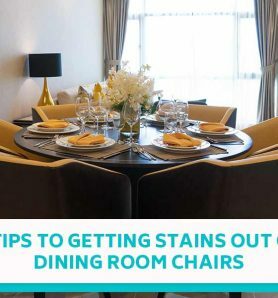 Our professionals have a keen eye on the places where nasty dust, germs, worms, food and pen stains, whether dark or light are playing around your walls, furniture and fabrics. We clean from anything to everything that helps you with the health, safety and aesthetics for your family and staff. Our upholstery cleaners approach to the customers is professional and humble. We make sure that our customers get pleased with every cleaning services we provide. We have more than 200 happy repeat customers monthly with best upholstery cleaning melbourne reviews and increasing daily. Let us handle the dirty work of your upholstered furniture. We have exclusive 10% Off discount on our cleaning services for new customers. Call Us for Free Instant Quote on 1300 068 194. We also offer steam extraction services for carpet cleaning melbourne, curtains, sofas, chairs and couch steam cleaning that are prone to hiding dust within them. Couches and sofas are where your kids or pets lay down after a tough day at school or fun play outside in the backyard. So, we at Toms keep your cleaning worries at bay by keeping your furniture dust free, hygienic and refreshed through our steam based Sofa Cleaning Services. Toms cleaning company offers the best in class customer experience to all of our customers, whether residential or commercial. We keep a track of the cleaning cycles for your home as well as your office since it’s imperative that cleaning gets done on a regular basis. During our first cleaning visit, looking at your furniture and the amount of cleaning required, we suggest the next due steam cleaning cycle. Based on your availability, our team then schedules up to the next cleaning cycle. We take pride in offering quality steam sofa cleaning services that bring life to your old furniture and retain the same value that it had when you first bought it. Our cleaning staff is highly trained, qualified and comprises of experienced technicians who handle and safeguard your furniture with tender love and care. Toms Upholstery Cleaning Melbourne Australia offers guaranteed satisfaction with our best in the industry Upholstery Cleaning services. We provide superior cleaning service for your upholstered furniture including – Sofa, Dining chair and best Couch Cleaning Melbourne. We are the most renowned upholstery cleaning company in Melbourne catering both residential and commercial clients. Furthermore, our cleaning process includes sanitization to remove unhealthy bugs from your upholstered furniture. Our Upholstery Cleaners assure we clean stains and spots from the root and use the cleaning material according to the fabric of your upholstered furniture. Toms Upholstery Cleaning services are available in Melbourne and Melbourne Eastern Suburbs. You can take benefit of our superior quality services within 24 hours by just giving us a call at 1300 068 194. 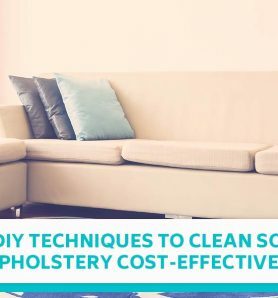 What to Expect From Upholstery Cleaners? Q: Can you provide upholstery cleaning service on the same day of booking? A: We provide same day cleaning service for your upholstered furniture. You don’t need to wait long at all. Our certified upholstery cleaner will cater your need of sofa cleaning, couch cleaning, dining chair cleaning and other upholstered furniture dusting and cleaning service on the same day of booking. Q: What type of commercial upholstered furniture cleaning service you offer? A: We have been offering upholstery cleaning service to offices for more than 10 years. Our commercial upholstered furniture cleaning services clean all different types of upholstered furniture at office such as, sofa, dining chair, couch, etc. Q: What type of Upholstery Cleaning material and tools do you use? A: We provide natural upholstery cleaning service to assure the upholstered furniture doesn’t get damaged by chemicals. To assure the best quality of service, we use eco-friendly upholstery cleaning material and tools. Q: Do you have certified upholstery cleaners? A: Yes, our technicians are certified and highly skilled with 10 years of experience in upholstery cleaning. Q: How Do We Contact Toms Upholstery Cleaning Melbourne? I was not expecting amazing results for my leather upholstery but i was surprised with Tom's Cleaning services splendid results. I am so happy with Tom's Sofa Cleaning Service as my sofa now looks as good as if i have purchased them recently. Good Job! !Keep it up Toms cleaning! I am calling no other services for my Furniture Cleaning from now on!My furniture looks new and shiny! Incredible service and value , professional, punctual , courteous , and friendly. I would definitely recommend Toms Cleaning Services. My dining area was very messy and smelly and after cleaning by Tom's Cleaning i feel my dining area cleaner and odor free. I would definitely book another cleaning service with them not only because of the high quality cleaning, but also because I got this awesome deal. Great work at affordable price. I will pass on their numbers to all my friends.